Just because you're a loyal iPhone user, doesn't mean you have to love Apple's apps, especially when Google offers a superior alternative. (We're looking at you, Apple Maps.) 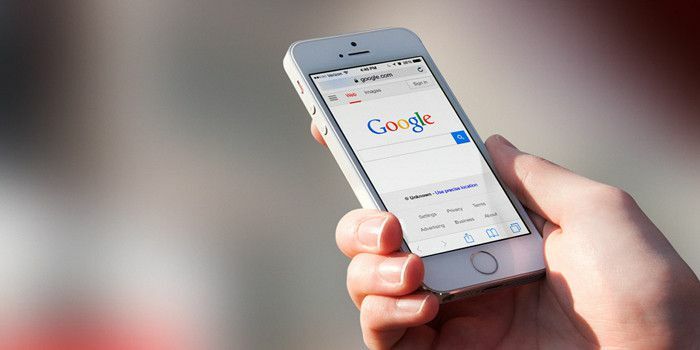 Not only does Google make iOS versions of its most popular apps, but it often updates its iOS apps first, to the frustration of many an Android user. Furthermore, some of Google's iOS apps are considered even better than their Android counterparts. So if you love the iPhone's build, interface, and its consistent operating system upgrades, you can pair that with Google's top-notch apps for the ultimate experience. You likely already use a lot of Google's apps and services, but if you’ve been settling for Apple's alternatives, here are the apps you may want to download; some are pretty obvious, and others may surprise you. Start with Chrome, because it's far superior to Safari and you probably already use it on your desktop. Plus, your web searches and preferences will sync up on all of your devices. Google Maps has much better navigation than Apple Maps, and it offers transit and cycling directions too. Apple Maps is slowly rolling out transit directions, but its maps still have errors. YouTube is the obvious choice for video watching. There's also a YouTube Kids app with curated content for tots. You can set up parental controls to block search and flag videos that you feel aren't appropriate. The app has three options depending on your child or children's age: preschool, school age, and all kids. Google Hangouts has multi-platform support so you can message all your friends and quickly switch between devices at your whim. You can also use it for video calls with one or more people and group chats. Google Allo, another messaging app, gives you a taste of Google Assistant by way of a chat bot that can help you make dinner plans or look up information of all sorts. Google Drive can replace the sometimes-annoying-to-use iCloud, and it integrates seamlessly with Google Docs and Sheets for on the go writing, editing, and collaboration. Gmail and Google Calendar; seriously, you don't already have a Gmail address? Not only will you be able to access these apps on all of your devices, but you can also back up your contacts to Gmail so you can easily transfer them to new devices (iOS or Android). Wear OS (formerly Android Wear) works with all sorts of wearable tech except the Apple Watch, of course. So download it if you have any of the top-rated smartwatches from LG, Motorola, Samsung, and other companies. Google Voice lets you bypass your carrier's voicemail service and transcribes your messages, so you never have to listen to another voicemail message again. And while the transcription started out nearly incomprehensible, it's much more accurate now. Gboard, Google's official keyboard, was launched on iOS devices before Android, believe it or not. It has top-notch features including glide typing and built-in Google search. It also supports multilingual typing so you can switch between languages with the press of a button, and of course, GIFs and emojis. Google Photos offers free unlimited storage so you can save and backup all of your snapshots. It also automatically tags your photos with relevant keywords such as the location and the subject or elements in the picture. For shots of people, Google Photos uses facial recognition to group them. Google Play Newsstand to stay up to date. It's the counterpart to Apple News; you choose the publications and websites you like to read so you can access them all in the same place. You can also subscribe to digital magazines and newspapers and read issues right within the app. Be sure to go into the settings and change the preferred browser to open links to Chrome. One leg up that Android has on iOS is that you can set up default apps for a myriad of services, including music, web browser, messaging, and more, but you can work around Apple's restrictions in most cases. Now, when you click a link in an app, it will automatically open in Safari, but Google's apps (and many other third-party developers) have found a way around this. You'll have to go into each app's settings and change the options for opening files, links, and other content from Apple's apps to other Google apps. This way, if a friend emails you a link and you click on it in the Gmail app, it will open in Chrome, or a file attachment will open in Google Docs. Within iOS, you now have your own Google ecosystem. You may still run into instances of Safari being the default browser, but not when you're using Google apps. Once (and if) Apple changes this, you could make your iPhone even more Google-centric. Another issue you'll run into is Siri support, so if you're big on voice commands, you'll miss out when using Google apps. For example, you can only use Siri to play music if you're using the Apple Music app. You can't use OK Google on an iPhone either, for obvious reasons (but you can use Google Home). For the foreseeable future, you'll have to choose between Google apps and voice commands when using an iPhone. So now you've got the best of both worlds: Apple's excellent interface coupled with Google's top-notch apps. Of course, making over your iPhone into a Google phone will make it that much easier for you to switch to Android when the time comes. Can You Choose the Default Apps on Your iPhone?